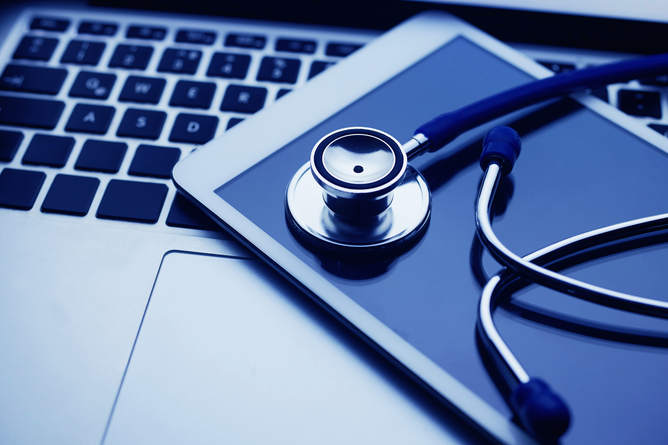 Healthcare data is increasingly under attack. 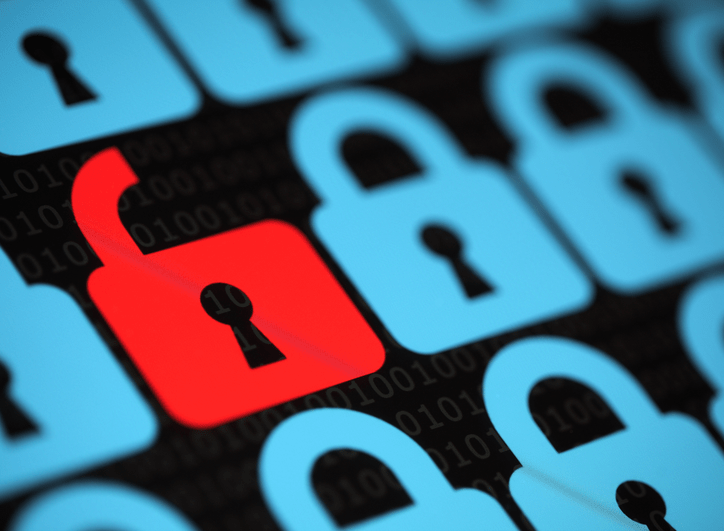 In October alone there were 27 healthcare data breaches reported to the Department of Health and Human Services’ Office for Civil Rights, resulting in the exposure of some 71,377 records. To understand how to best counter these threat, we’ll take a look at some recent breaches, review key best practices, and explore the rise of Artificial Intelligence as a cyber remedy. When technology analysts look back on the Equifax hack, they may well see a turning point in cybersecurity. It’s one thing when a major retailer like Target gets hacked. Certainly breaches in government agencies raise concern. But Equifax is a credit reporting agency. It’s exact function is to safeguard the kind of sensitive personal data hackers are looking to steal. 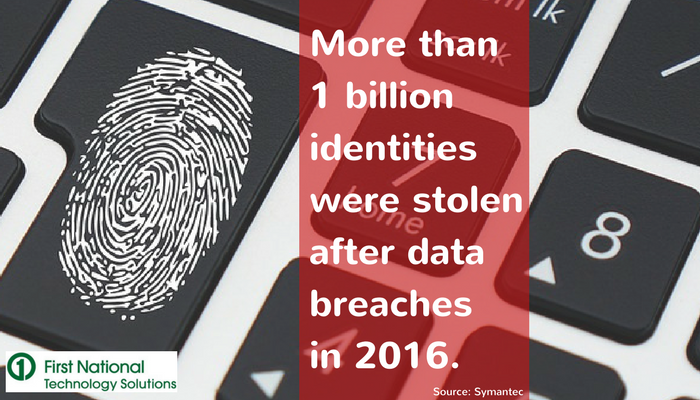 Did you know that 81 percent of hacking-related breaches were aided by a combination of stolen and weak passwords? The 2017 Verizon Data Breach Investigations Report also shows that 62 percent of breaches featured hacking, while more than half (51%) were driven by malware. 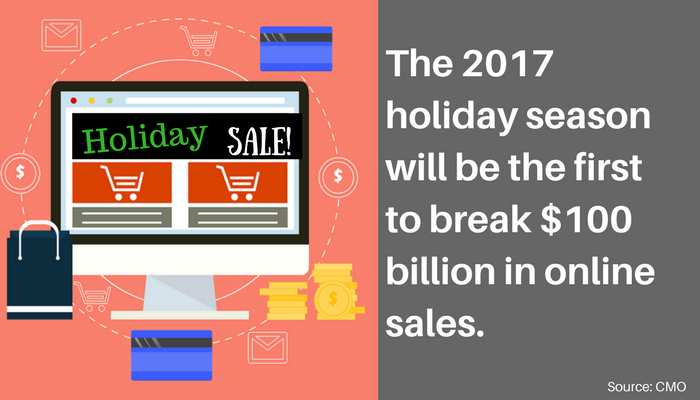 According to a holiday shopping projection from CMO, the 2017 holiday season will be the first to break $100 billion in online sales. 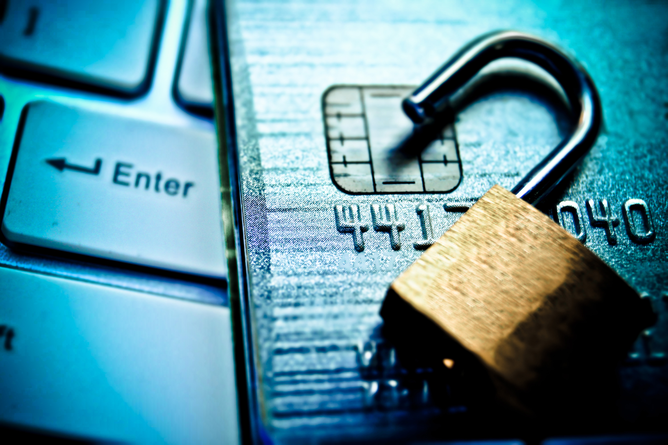 With credit card numbers and personal information being shared through web browsers and mobile and work devices, it is important for people to be vigilant when making their holiday purchases to avoid becoming a victim of cybercrime. The cloud is growing in popularity in the digital world, and more businesses are taking advantage of cloud-computing strategies to stay relevant and competitive. The cloud is a network of servers that allows companies to provide services in an efficient and cost-effective way. At First Technology Solutions (FNTS), we are seeing an increasing number of companies leveraging server consolidations by moving to the cloud. 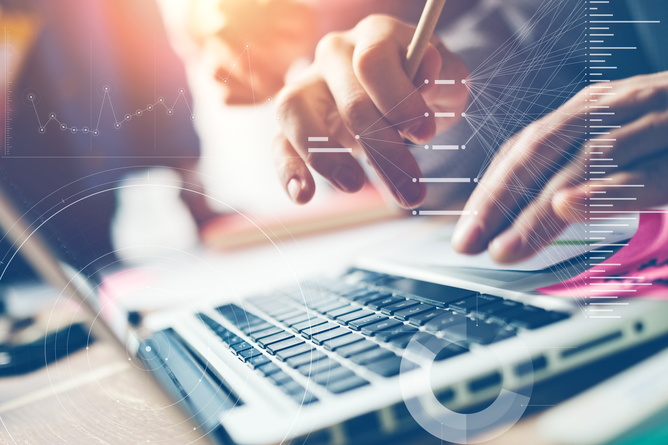 Not embracing the cloud is becoming a competitive disadvantage for companies, and if they aren’t already using the cloud as part of their strategy, they are already behind one of the fastest growing IT trends. 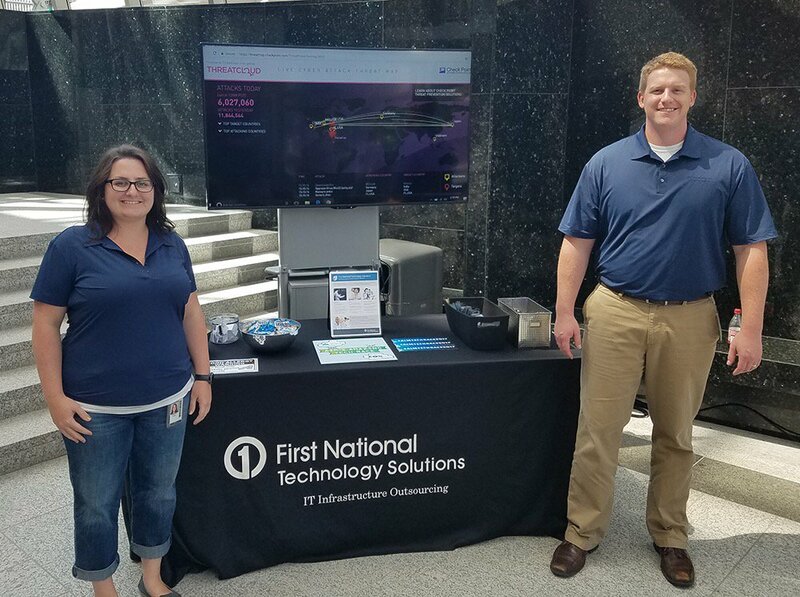 First National Technology Solutions (FNTS) welcomed visitors of all ages Friday for AIM’s Amazing Tech Race in downtown Omaha. The Amazing Tech Race is an annual tech-driven competition and scavenger hunt hosted by AIM Institute. This year AIM invited First National Technology Solutions to participate in this exciting event, which gets more people throughout the Omaha community excited about technology. At FNTS, we believe in the importance of building and sustaining a strong tech workforce. Providing engaging learning experiences like the Amazing Tech Race are important due to the increasing demand of tech and STEM jobs across the country. A Global Information Security Workforce study indicates there will be 1.8 million open cybersecurity jobs by 2022 due to a large population of cyber professionals retiring over the next ten years. In today’s digitally-driven world, technology and internet connections are everywhere you turn. When you step out of your home in the morning and make your way to work, you encounter hundreds, if not thousands of Wi-Fi networks. Any device that has access to the internet or a Wi-Fi connection can be vulnerable to threats, hacks and security breaches. Take a minute to think about all of the devices you have connected to the internet at home. Computers, laptops, tablets, webcams, cell phones, lighting systems, security alarms, televisions, set top boxes and even kitchen appliances can be controlled by Wi-fi signals as a way to make our lives easier. Now think of how this relates to business. In an effort to work smarter and faster, there are just as many, if not more devices for business. If your network is compromised, hackers can pick up on your Wi-fi signals as a way to monitor your every move and steal private information. With the Internet of Things (IoT) evolving, it is only becoming easier for digital thieves to spy on you if your electronics aren’t connected to a secure network. 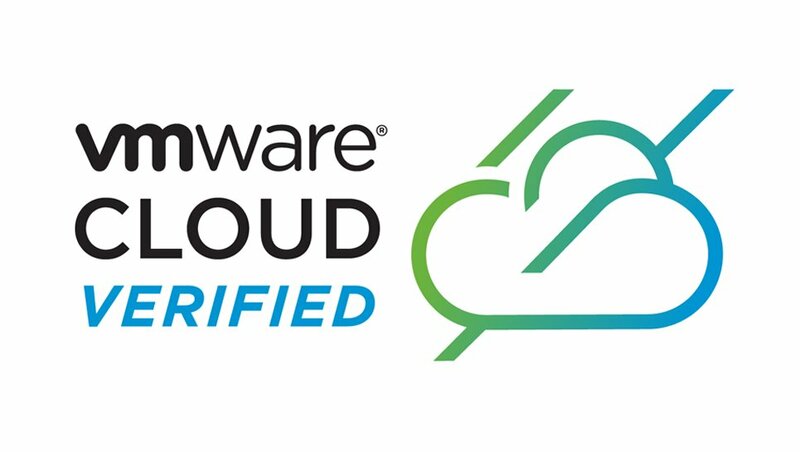 Desktop anti-virus software is still an important component of a defense-in-depth posture and aids in keeping endpoints secured, but the vast majority of protection focus has shifted to securing information stored online, primarily on infrastructure in cloud environments. Because of the shift, precautions and safety measures need to be taken into consideration. 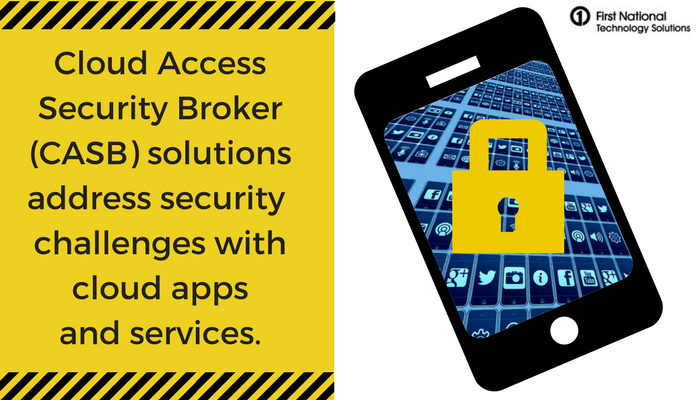 Storing apps and services in the cloud is a growing trend for businesses, and keeping that information secure is becoming easier to do with a new service that acts as a gatekeeper, which can extend a company’s security policies outside of their own infrastructure. 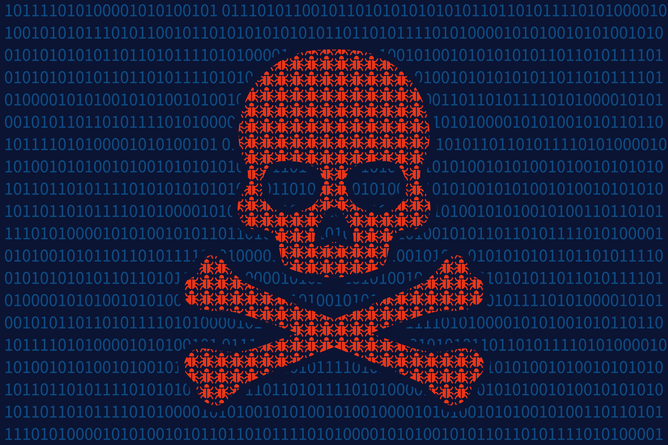 The recent WannaCry virus cyberattack has left many businesses re-evaluating their security and privacy policies and procedures to avoid falling victim as the attack continues to spread and replicate. First National Technology Solutions (FNTS), a highly compliant, highly secure, nationally recognized leader in managed IT services, has expertise in information security and risk mitigation. In the previous installment of this article, I discussed the detection mechanisms used with Network based Intrusion Prevention System (NIPS). In this particular article, the focus will be on particular threats that NIPS deals with.